This was taken during my morning walk, love this time of year when I can get out early and enjoy the sun coming up over the lake. Thank you for your comments and favs on yesterday's photo "What are you looking at? ", I really appreciate it. That is superb! Very, very well done. I like the framing/composition, the flare, and the gold tones. Love the golden tones very pretty! Wow. What a great start to your day. I felt in love with your photography last summer on these walks. I was so jealous. Stunning starburst framed so beautifully! Fav! Such a neat shot - isn't it wonderful the things we notice because of 365? Love how this is composed and the tones to it. Love this bench in the morning light! Such a rich golden color! OH MY !! This is spectacular!!! Gorgeous!! Was this with your new lens? Beautiful!!! This is such a perfect sunburst! and perfectly framed. Benchhenge! I like the light underneath the slats; shows just how low that sun is on the horizon. Fabulous pov and starburst! Fav. @taffy No I cropped this shot, I tried my WA this morning, and hope to check them on my computer tonight. Wonderful pov and light, so extremely well seen, fav for me! Outstanding capture and love that sun star!! Beautiful light reflections on the bench and details! FAV! 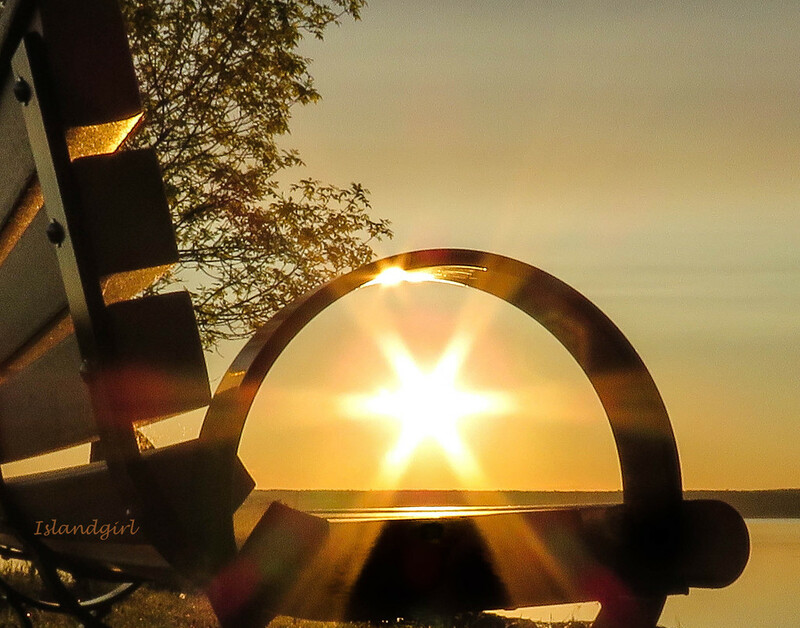 This is gorgeous....love your low POV on the bench, and the way that you captured the sunflare through the armrest! Absolute FAV! !